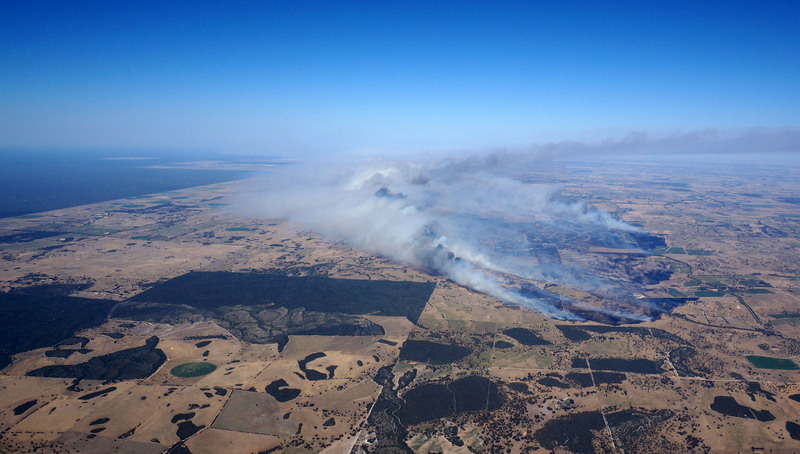 The Sherwood fire took place on the 6th January 2018, in the south east of South Australia. 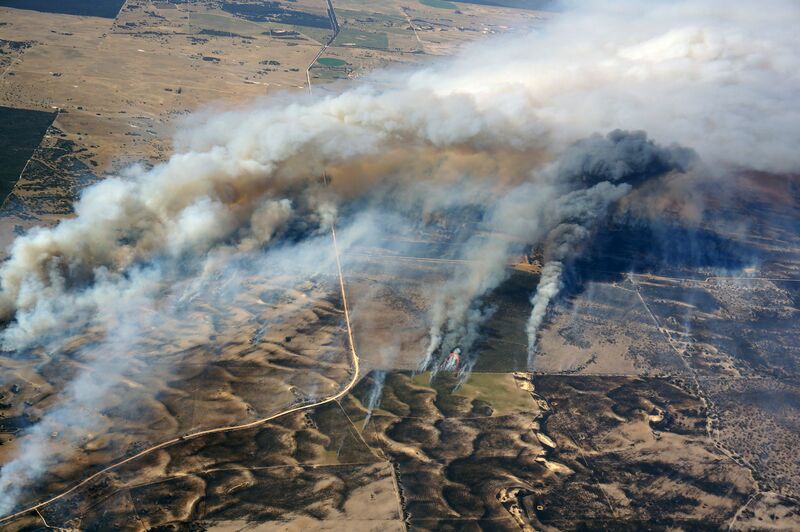 The FireFlight aerial fire mapping system operated over the fireground for approximately 1.5 hours, at an average height of 9000 feet above ground level. During the time on site the system performed 16 passes across the fireground, as depicted by the image below (click for larger image). A combination of thermal imaging cameras with high precision GPS and advanced data processing software. Specifically designed for use on manned aircraft and helicopters (we do not use drones at this stage, and we do not fly drones near fires). 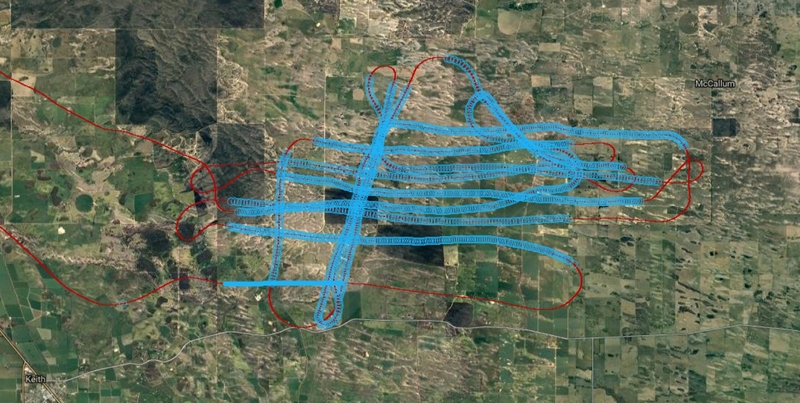 An ability to map fires in and deliver data (such as that shown above) in real time. Data is available within one minute of being acquired. The FireFlight system is cost-effective: it can be deployed on multiple aircraft, each positioned in high fire danger zones. Although developed in Australia, the FireFlight system can be deployed worldwide. Please contact us for further information. An information sheet describing the FireFlight system is available here. If you wish to use any of the images on this page, please contact us first. 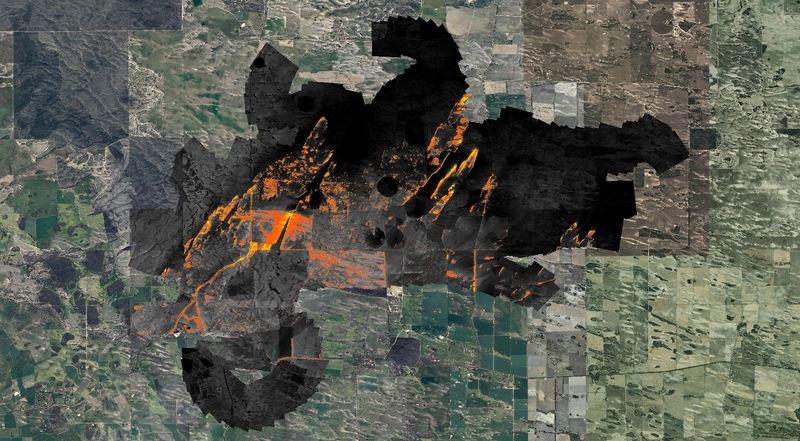 Copyright of all the imagery and data on this website rests with Spatial Scientific Pty. Ltd.